How do we get the Taru into DCS?? Ka-50 isn’t good enough for you? I could swear I saw some scripts to have it sling load stuff. I wonder if there was a C27J in DCS World would anyone purchase it? I find the idea of the support (transport/logistics/refuelling) so much more interesting than actual combat. If it was implemented like @franze suggested and it was done properly it would be incredible for me personally. I really like the idea. It really wouldn’t take much beyond just adding some more flexibility to the existing warehouse system. For example, you can spawn a C-17 and land it at an airfield with no fuel, then despawn it, and the airfield will have x tons of fuel added to its supplies from the C-17. The same is true of aircraft landing with munitions and offloading them or despawning them as well (which can also add to the plane pool). Just opening that up to scripting would be a huge leap forward and allow for a greater flexibility in the entire logistics system of DCS. It’s no secret that one of the more intriguing parts to me of military operations is logistics, namely because so much operates on how well the support mechanics work to make the tip of the spear able to achieve their objective. It’s why I’ve been very critical of the US DOD and how they handle many of their finances, namely in regard to how much their use the logistic infrastructure but pass little in return to it. The C-27J is a prime example of this because it offered a lot of capability for a relatively small cost, yet through lies and manipulation, the USAF claimed it would be more expensive; basically, the same pretzel logic that claims the F-35 is cheaper than anything else. But they’ll happily axe 40 C-27Js just to get 2 more F-35s into their budget, yet which aircraft is going to be more widely used in the real world? The Coast Guard and Forestry service’s use of the C-27Js they got belies reality, in that they’ve used the hell out of the aircraft and far more than any of the F-35s have ever been used to date. I will never understand the logic in these procurements. In fact I don’t believe your MEANT to understand. Don’t some of the big MP Red v Blue campaigns have some logistics? (I don’t know anything about them other than how enthusiastic some of our users have been about those MP campaigns). I love logistics stuff and campaign wide resource tracking. It is one of the reasons I enjoyed EECH so much was because you could actually target those vehicle, aircraft, and helicopter “generator” buildings at airfields and see an impact on the campaign. I’m sure it was very basic, but it was really cool. As well, aircraft perform air drops on FARPS and airfields to help rebuild them…so if you shot down those aircraft it would delay that from happening. They do, even on some of the smaller ones like the Cold War server, though it’s more as a mechanism to restrict certain weapon loads. The difficulty is that every time there’s an update, the list has to be manually rebuilt for every warehouse, which is tedious. I’ve got a scenario where I’ve been working on it from that approach, where only one airfield in the rear area has unlimited supplies, but I am uncertain how well received it may be… Since the nearest forward airbases are about a 70nmi trip. In theory, the intent is that some players can run ferry flights of fuel, weapons, equipment, and aircraft to the front line bases/ships to allow replenishment beyond the warehouse set rate, but this also introduces other challenges like players using up all the equipment and aircraft at a field, then leaving when they can’t spawn anymore. There’s other things like scripted mechanics that will kick a player back to spectators or similar if they pick a slot for an aircraft that is “out” or respawning, but it’s kind of hamfisted. A more flexible approach to the system would help, allowing things like a trusted gamemaster to dynamically adjust logistics as needed. Which gets more press: F-35 or C-17? Nothing quite grabs public attention quite like a sleek, capable fighter; much like a sporty car is what most people aspire to own/drive, not the utilitarian pickup. The system works in such a way that the ones who attain the top are those who spent their entire careers on the “glorious” parts, less so on the rear echelon. Thus the people making the decisions are more aware of how things work on the fighter side of the house, less on the cargo side. It doesn’t help that the people who made their careers in support roles are quite salty about having been stuck in those roles, as the majority intend to go to branches a bit more entertaining than moving cargo around or purifying water. This is especially true for the officer side of the house, because once you get branched there, it’s very difficult to move around. It’s pretty easy to go from the fighter house to the cargo house, but not so easy the other way around. I’ve got a scenario where I’ve been working on it from that approach, where only one airfield in the rear area has unlimited supplies, but I am uncertain how well received it may be… Since the nearest forward airbases are about a 70nmi trip. In theory , the intent is that some players can run ferry flights of fuel, weapons, equipment, and aircraft to the front line bases/ships to allow replenishment beyond the warehouse set rate, but this also introduces other challenges like players using up all the equipment and aircraft at a field, then leaving when they can’t spawn anymore. Ha…that sounds really cool actually. I’m all for limited resources. I can’t remember which sim it was…heck, it might have been Longbow or one of those other Jane’s simulations, that had limits on ordnance and sensors at certain bases based on resupply. It wasn’t resupply missions that had to be flown though, it was just something in the campaign engine that limited how many GBUs for instance. So on some missions you might use up the base stock of GBUs and for the next couple missions you had to go with slicks or something. Fun stuff that made each weapon deployment decision a decision with meaning. I noticed that my recent game of choice, VTOL VR, has a neat weapons budget system for each mission that forces you to make concessions based on how advanced the weaponry is. Another neat feature. A lot of Jane’s games had it; Longbow 2 had a mechanic for limiting helicopters and munitions, and it was certainly possible to run out in a campaign, depending on how much in the way of resources got lost. Helicopters could be damaged and out of action for several missions and the player would have to be careful about using limited resources. For example, you really did want to ensure that recon missions were set to OH-58s, because risking AH-64s for such a mission was rather silly, knowing that the OH-58s were easier to keep in action and less costly to lose. Same is true of weapons, where using the AGM-114L at all times was a sure way to run out of them and not have them on hand for the real important missions. Jane’s USAF also had similar mechanics for the two big campaigns, with limited aircraft and weaponry resupply missions, but it wasn’t quite as involved as other titles. The mechanic there was having to defend aircraft (either fighters or cargo) coming in from attack and if successful, you would be restocked with aircraft and munitions. It’s an interesting dynamic and one of the things that can get a bit gamey but I think it’s necessary and fun, as well as forcing players to think outside the box. Always enjoy watching this video of the old British Harriers. 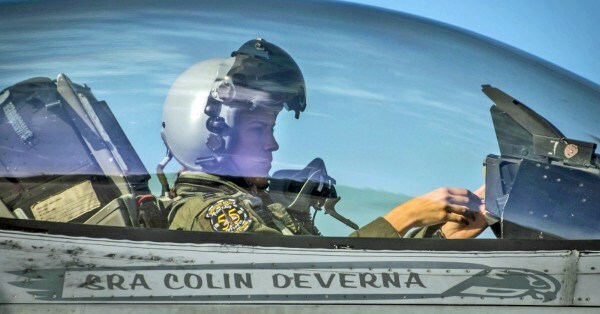 Always makes me want to fire up DCS and fly the AV8B module. From days way, way past. If I remember correct that’s one of the tails that shot down one of the drones over Syria. 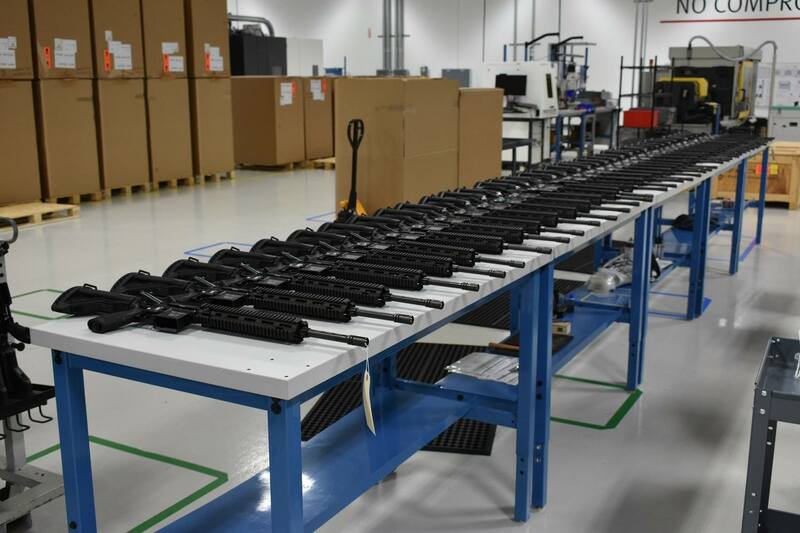 A fresh batch of M27 rifles leaving Georgia headed to the Devil Dogs. If any of you crayon eaters are reading this, please treat them nice, even though we built them to be Marine proof. H&K trolling Marines, scroll through the comments for more gems. Haha, thats pretty good. Gotta love a company with a sense of humor. When I was a short timer waiting to EAS, I was stuck with 2nd Bn 4th Marines (2/4) and we were actually a part of the initial field test for the IAR (M27). Pretty badass gun, but I remember the Battalion Gunner being very pessimistic about its ability to replace the SAW. Seems like its done a good job so far though. At that point, I was so ready to get out I didn’t even want to go shoot it. They basically made us do ammo dumps with it to test it out. I think the new MGO was a good match for it, but I was so ready to get out I didn’t even care. Can’t remember if this was posted earlier, but this is a nice two part series shot by a San Diego local news channel onboard the USS Carl Vinson and shows some of the below deck action that sometimes gets ignored. Still looking for the nuke spaces @Navynuke99!